Surely men and women are equal, and the gender gap is decreasing. According to recent news below, there are more elderly women in India than men. 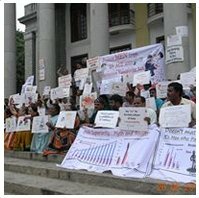 So the reason Indian men are dying earlier than women is because of gender gap?